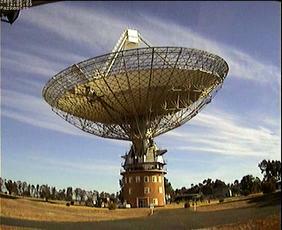 This is the current webcam image of the Parkes radio telescope. Please click on the image to view a larger version of it. A new image is available every few minutes, just hit the "reload" button in your browser to update the image. 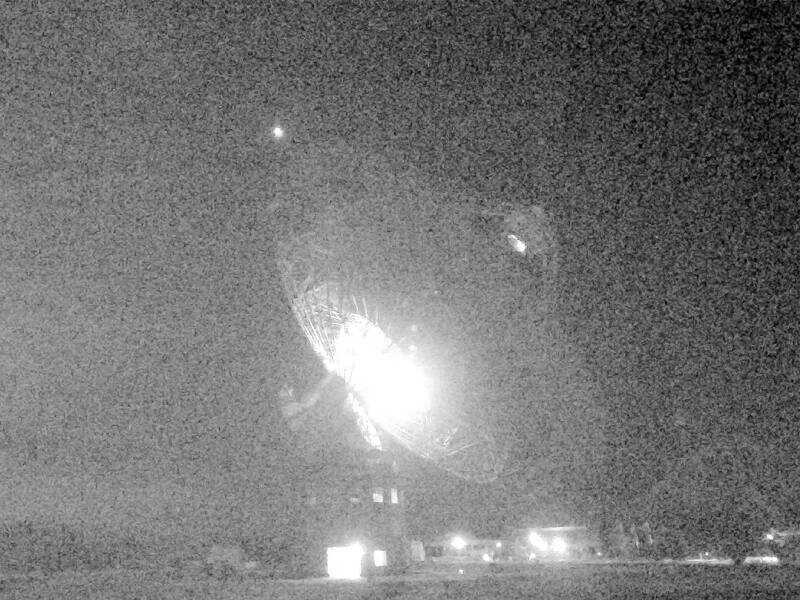 You can view a movie of the telescope over the last 24 hours. The daily movie is updated each hour and is available as either a large, high-resolution file or a smaller, lower-resolution file, in two formats. Check the table below for the best format for your system and media viewer and click on the required file. 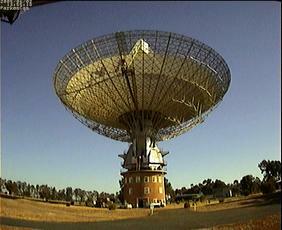 Here are some other interesting movies of the Parkes Dish. Click on the image under the correct format for your media viewer to view the movie. In the early morning, mist and fog are blowing over the site which is abundant with wildlife. Watch kangaroos grazing and hopping all over the place. Towards the end of the movie, a small group comes quite close to the camera (3.7 MB). 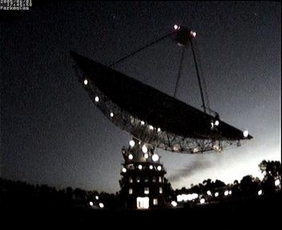 Sunset at the telescope. As the sky darkens, you can spot Sirius (-1.44m) in the upper right corner of the movie and even Canopus (-0.7m) at the top in the middle (3.7 MB). 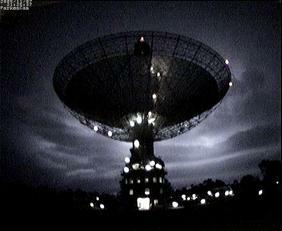 A maintenance team taking a ride in the dish. Watch them as they walk into the dish at 11:10, are lifted up and then walk down to the secondary focus. Best viewed when the frame rate is set to 10 fps (3.7 MB). An engineer climbs up a leg into the prime focus at 14:00, and returns an hour later. The movie is best viewed when the frame rate is set to 10 fps (1.6 MB) to show the fast-moving person more readily. 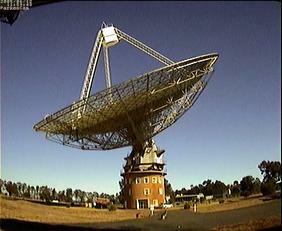 The telescope tracks a source which transits close to zenith. 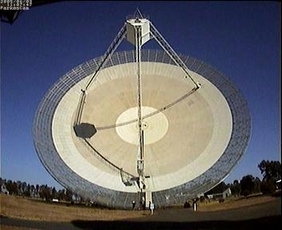 Because the telescope has an alt-azimuth mount, it has really to speed up its azimuth gears to follow the source (3.2 MB). To find out more about the webcam and how the problems caused by radio frequency interference (RFI) were overcome please follow the link to the next page.